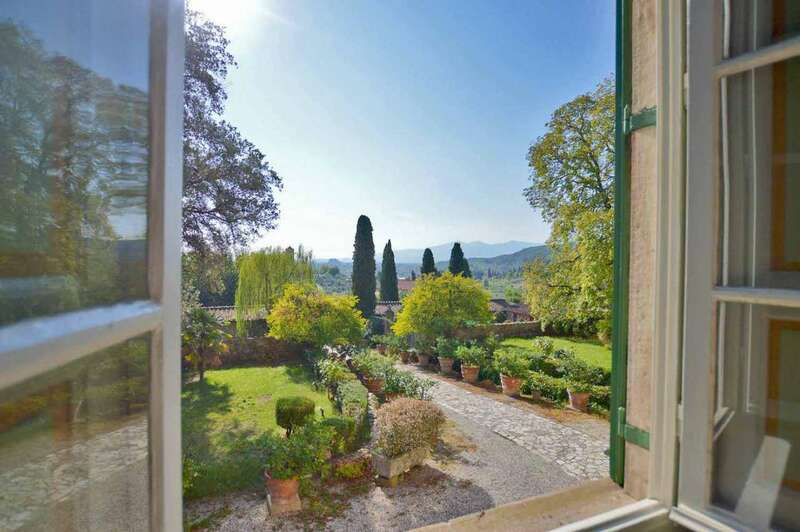 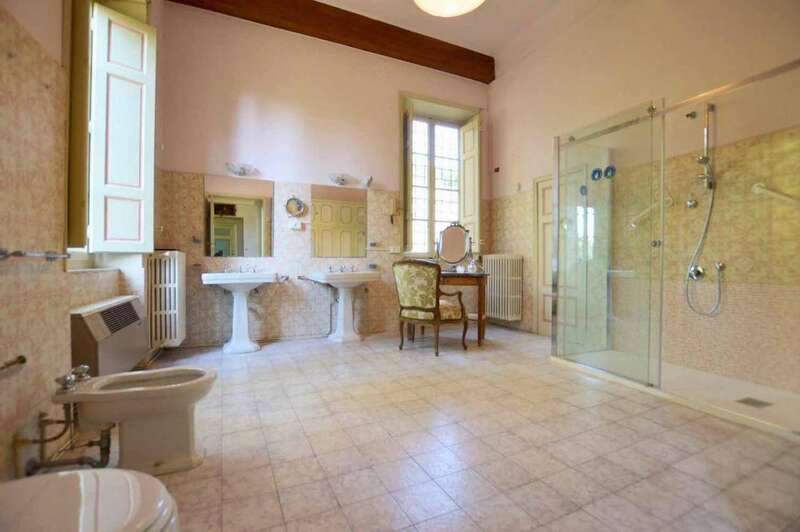 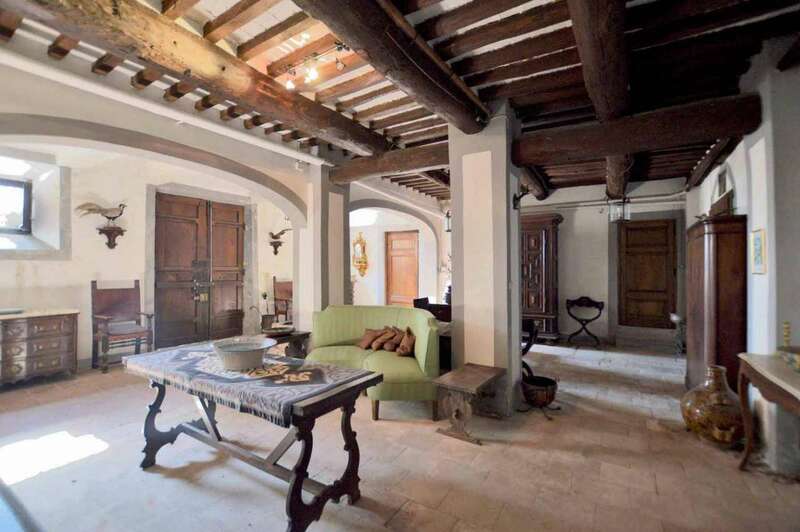 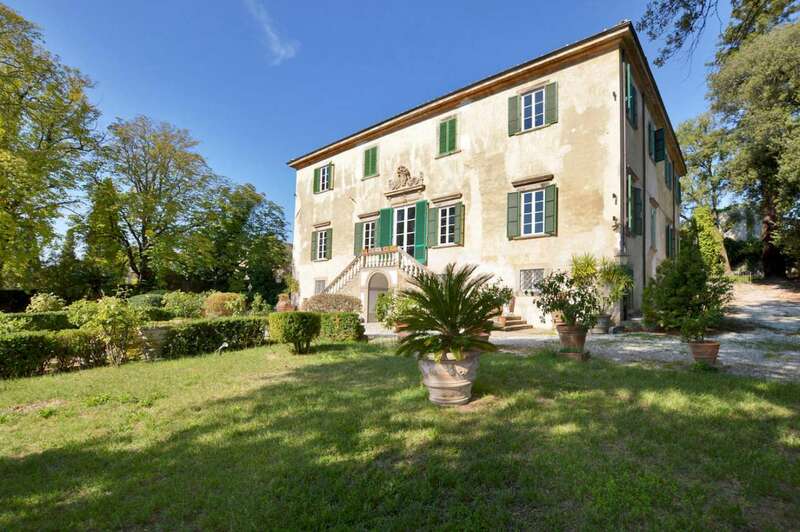 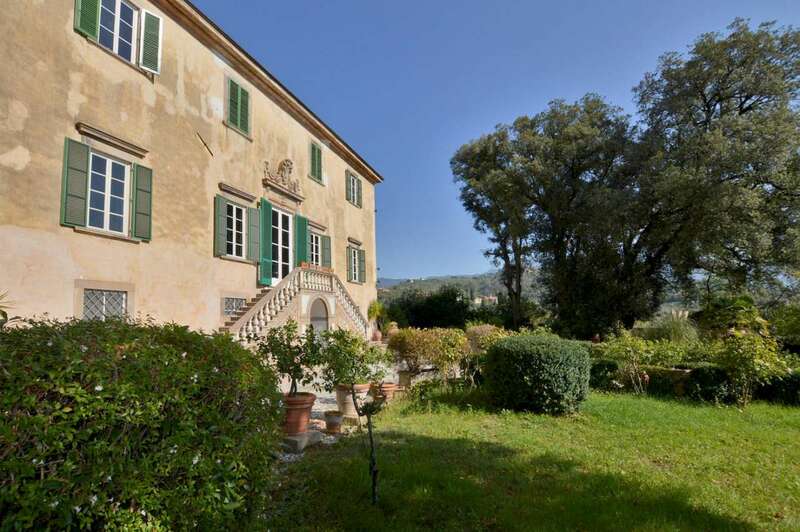 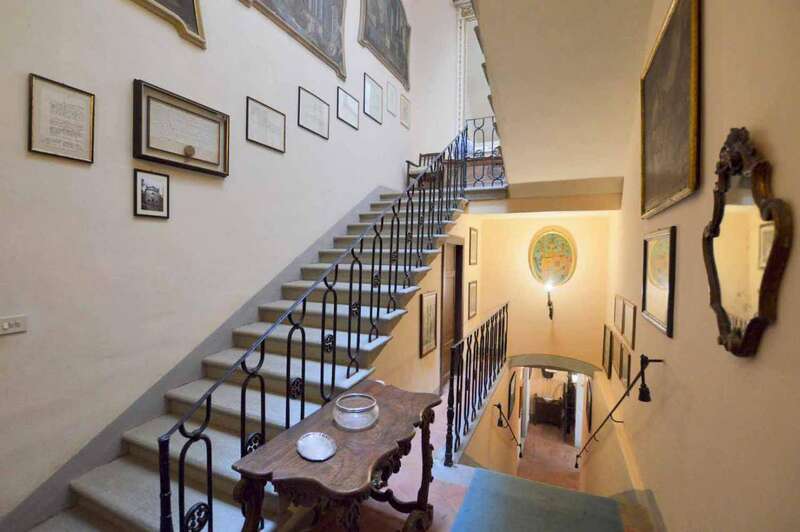 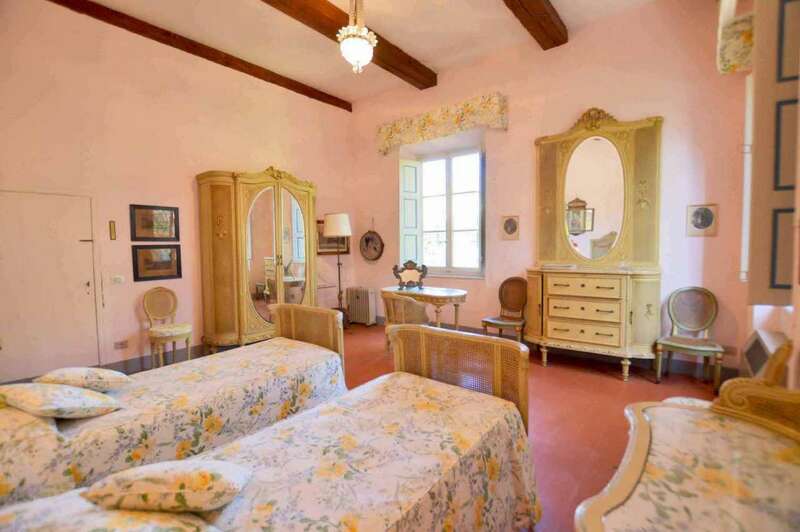 Fabulous character property full of history and tradition in a beautiful setting in hills above Lucca, featuring an exquisite Seventeenth century villa, 2 charming lemon houses/orangeries (limonaie), a very nice guest house and 2 character farmhouses. 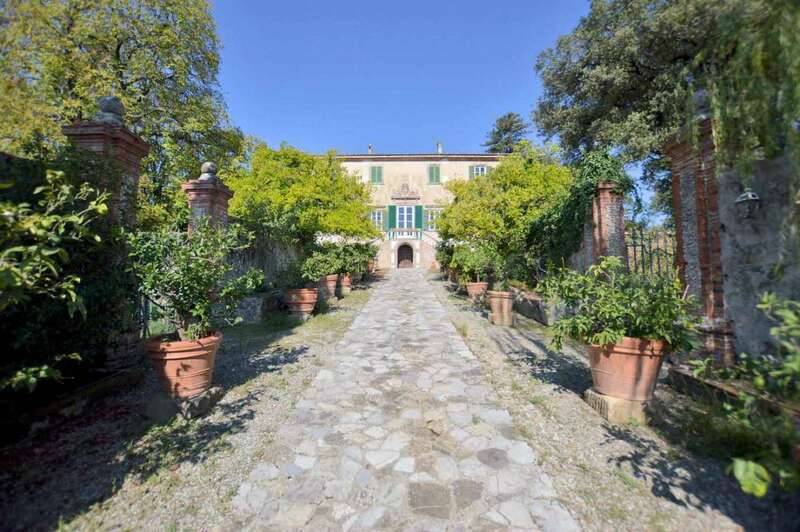 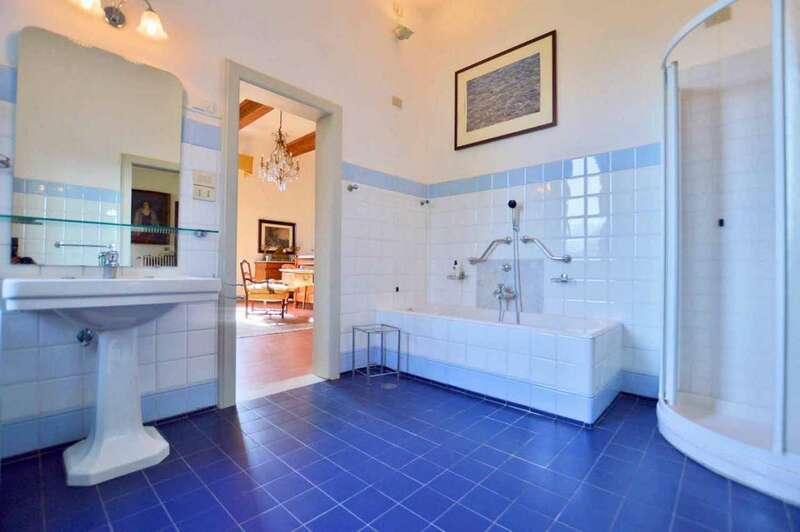 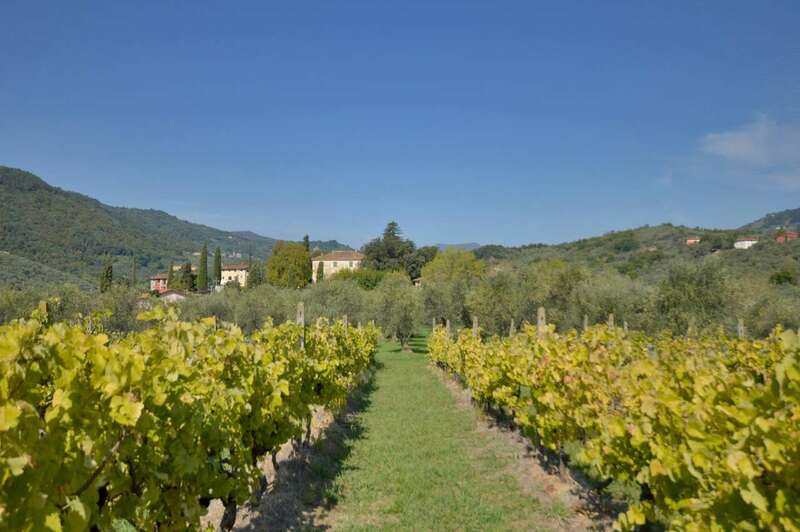 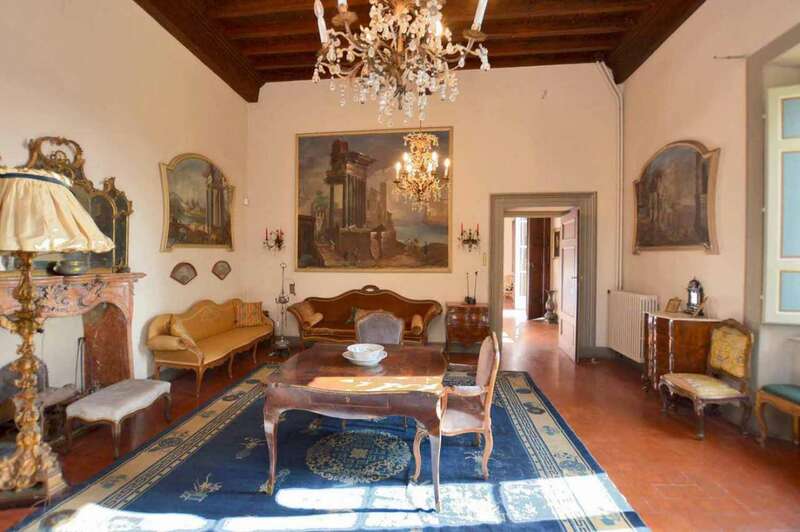 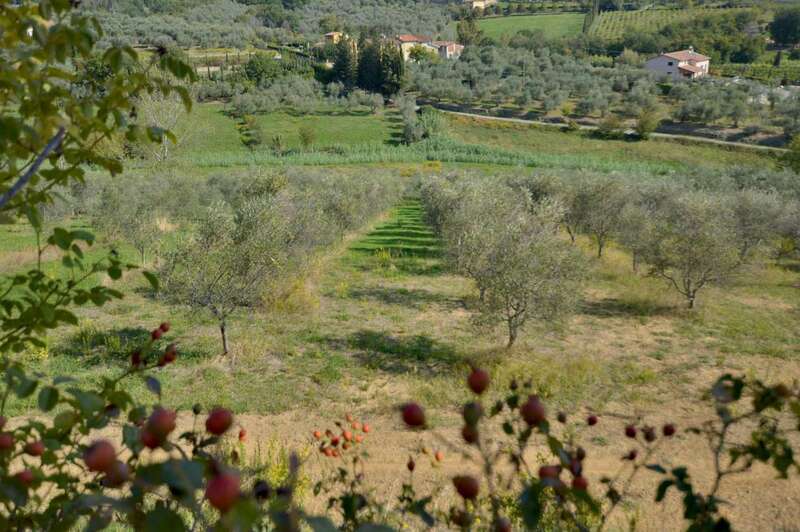 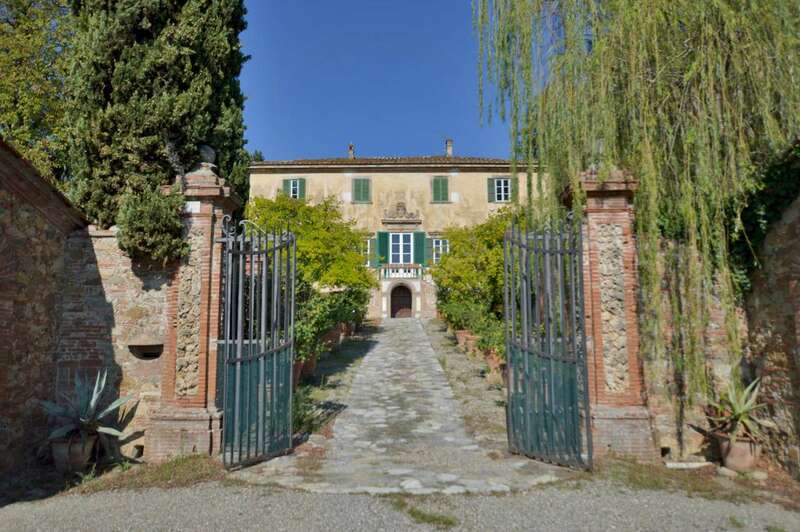 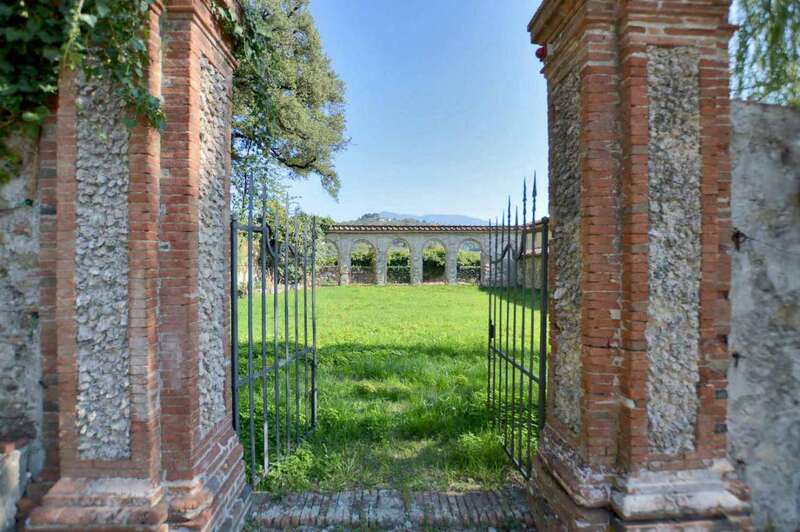 This country estate, conveniently positioned just 7 km from the centre of beautiful Lucca and is surrounded by 7 hectares (17,5 acres) of mature grounds comprising a large olive grove with approximately 1.200 olive trees, that makes an excellent olive oil: a vineyard extending to 6,000m2 (1,5 acres) and 2 hectares (5 acres) of woodland situated in close proximity. 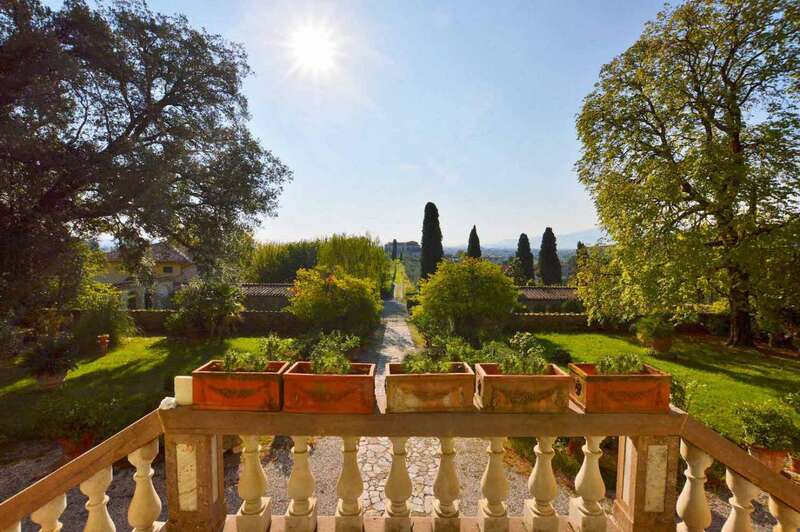 The main villa dates back to the early 1600's and is an excellent example of the historical architectural style of the area and is nestled inside a landscaped walled garden with a wonderful "nymphaeum" to the rear, reminiscent of ancient times as well as 2 spacious lemon houses/orangeries. 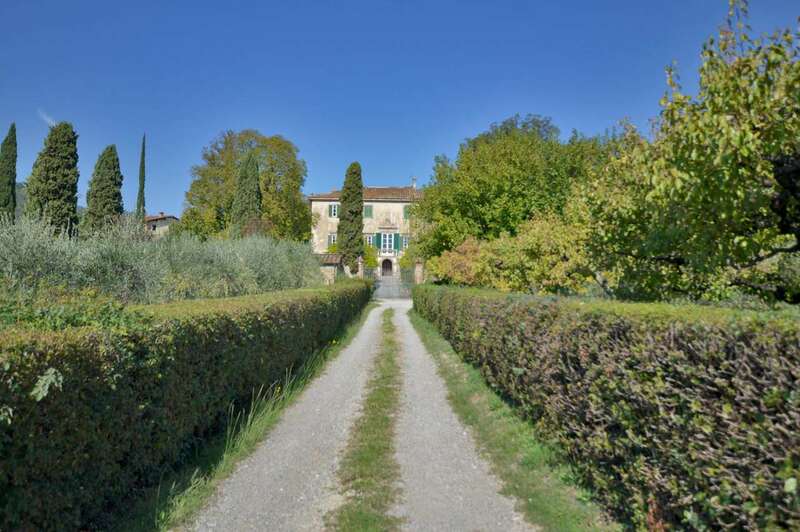 The main villa approaches the olive grove via a lovely short path, while enjoying the most spectacular views that extend across the gently rolling Tuscan hills and to the local roman church that proudly dominates the countryside. 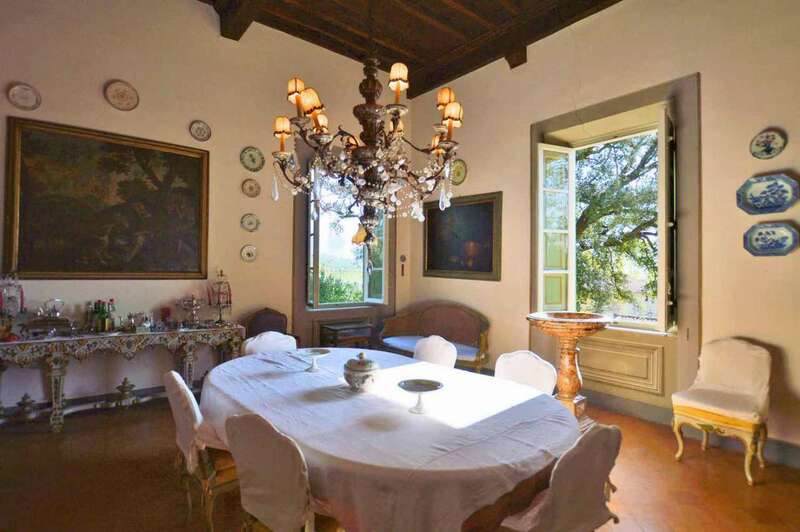 The villa is well preserved and has maintained its authenticity throughout the centuries. 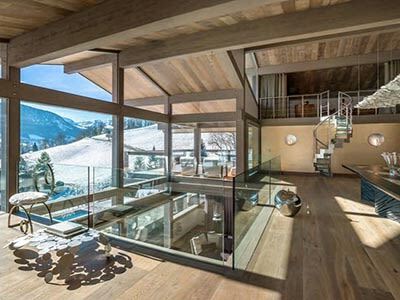 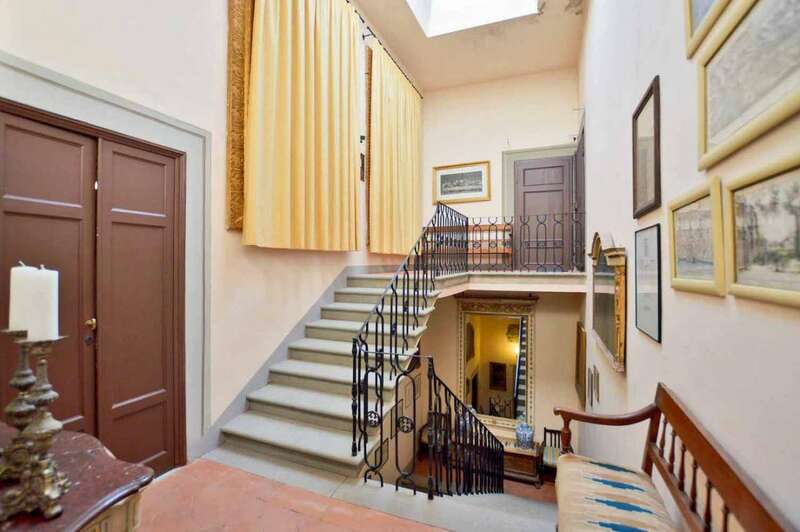 It provides more than 1,000m2 of total surface area spread over three floors plus attic. 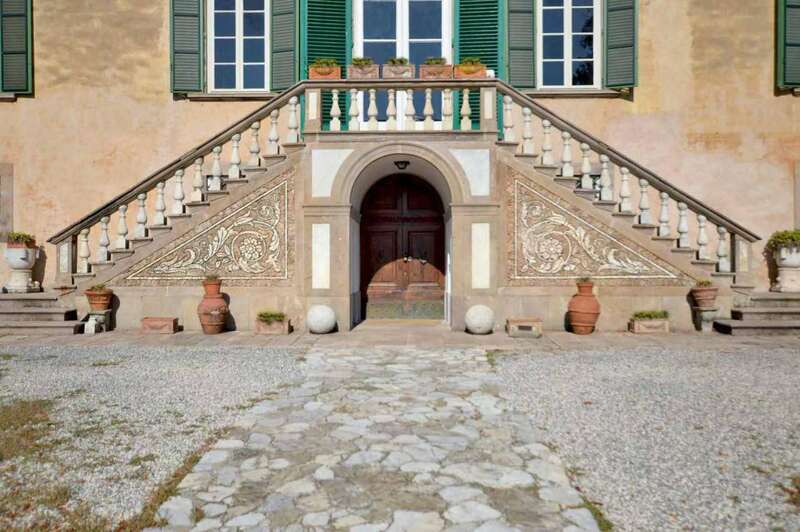 The entrance to the villa is via a majestic stone staircase. 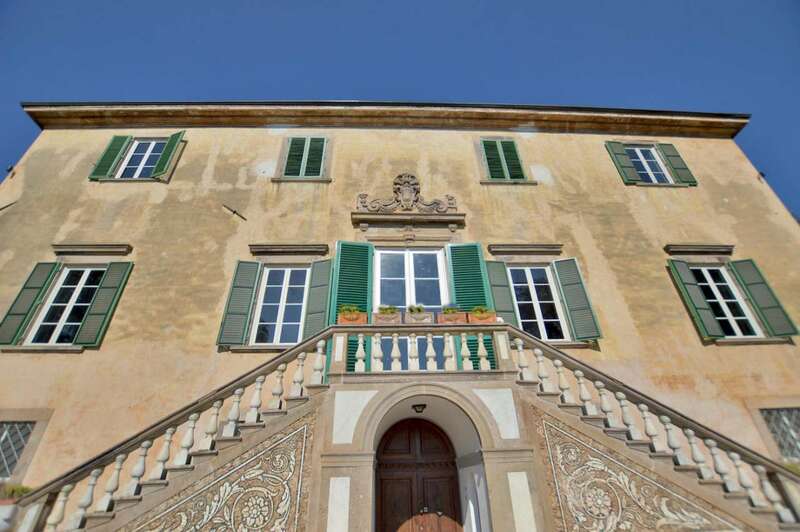 The ground floor consists of the second entrance, a billiard room, an old traditional Tuscan-style kitchen, utility room and wine cellars. 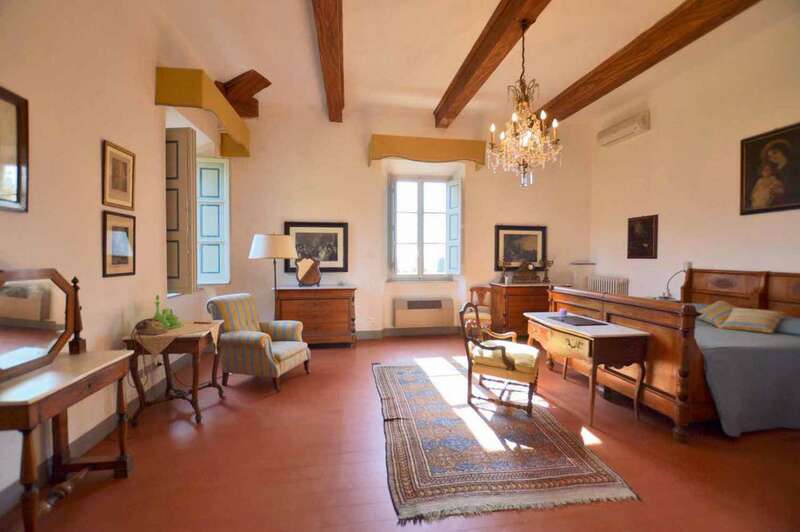 The first floor (the noble floor) features a spacious elegant reception room of 120m2 with original cotto floors, coffered wooden ceilings and charming stone open fireplace, a 19th-century library, a lovely sitting room, TV room, dining room, kitchen and large double bedroom with en-suite bathroom. 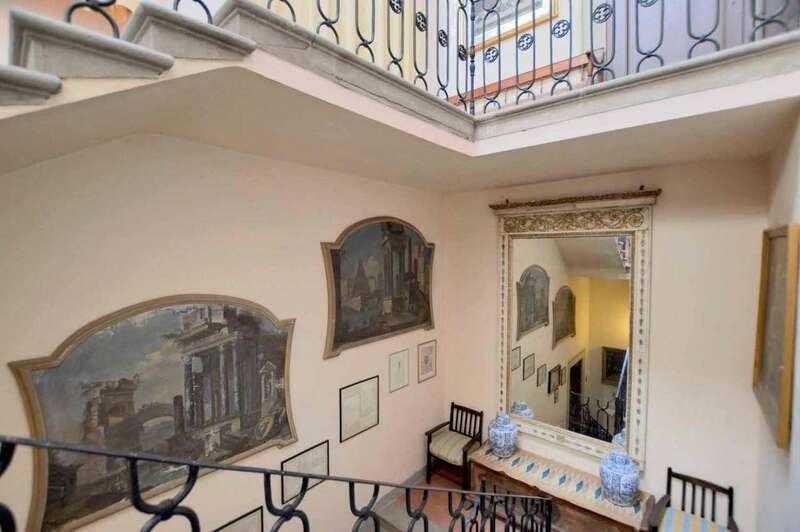 On the second floor there are 5 bedrooms, 3 well-appointed bathrooms and a charming painting studio with large windows facing the rear garden and its fabulous ancient nymphaeum /statue. 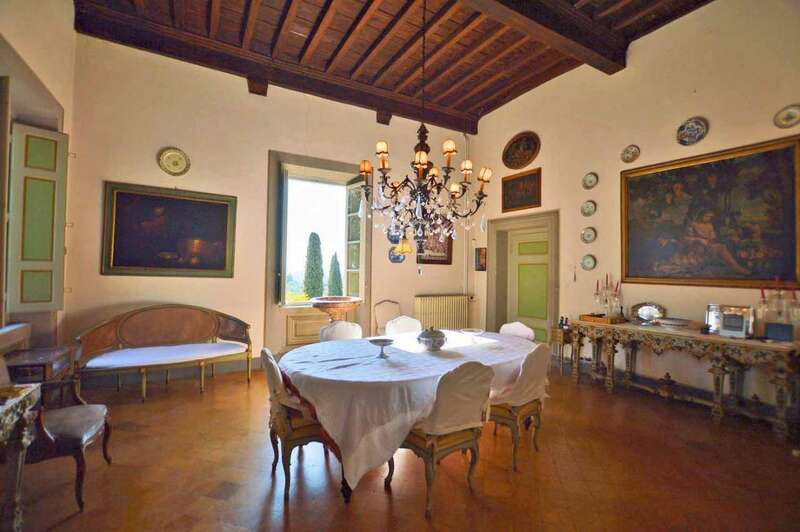 During the past centuries the villa has played host to many artists and the most famous personalities of the era who would spend time in this property where they created beautiful masterpieces. 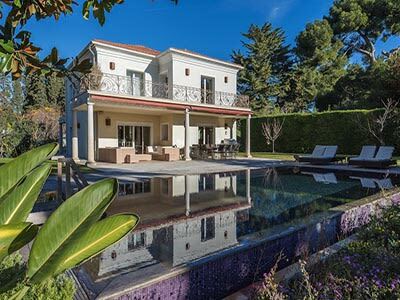 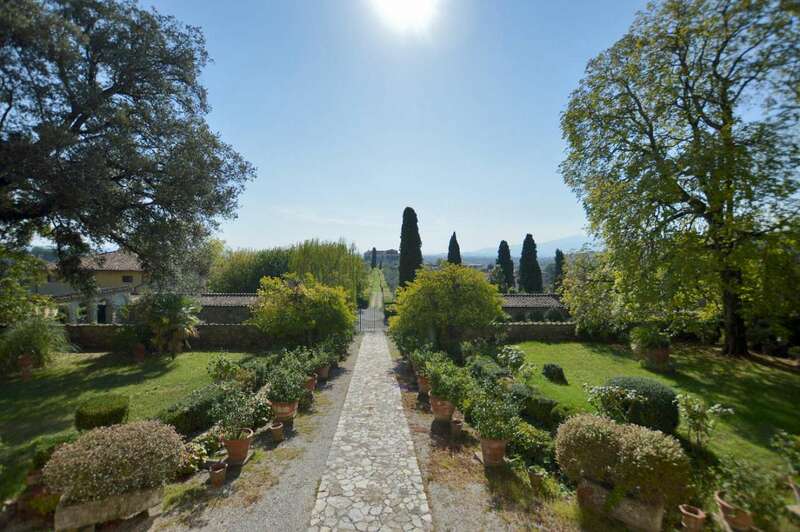 Outside, the walled garden is located just in front of the villa, while 2 lemon houses/ orangeries, that measure 110m2 m each, and the old vegetable garden are situated on both sides. 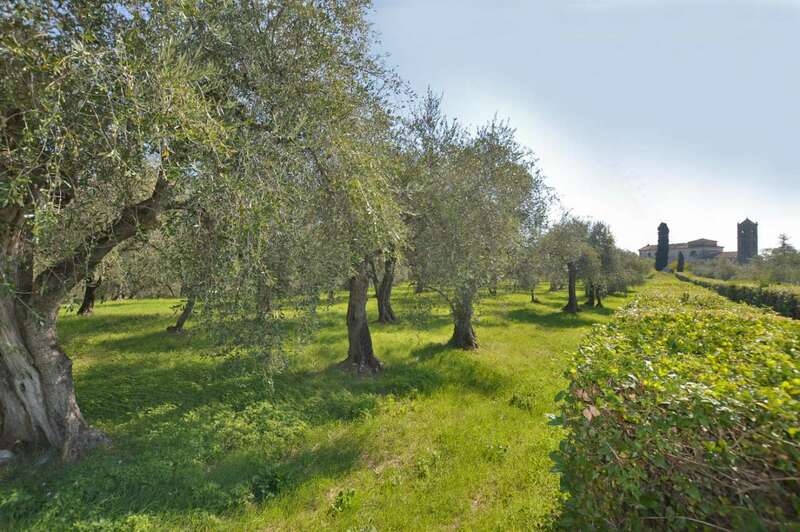 In this area there is plenty of space to build a 11 x 5,5 pool, the project of which has already been approved. 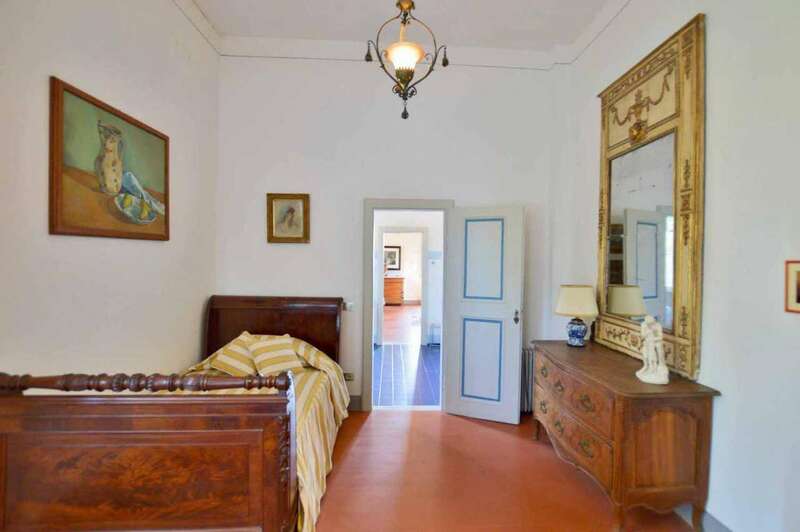 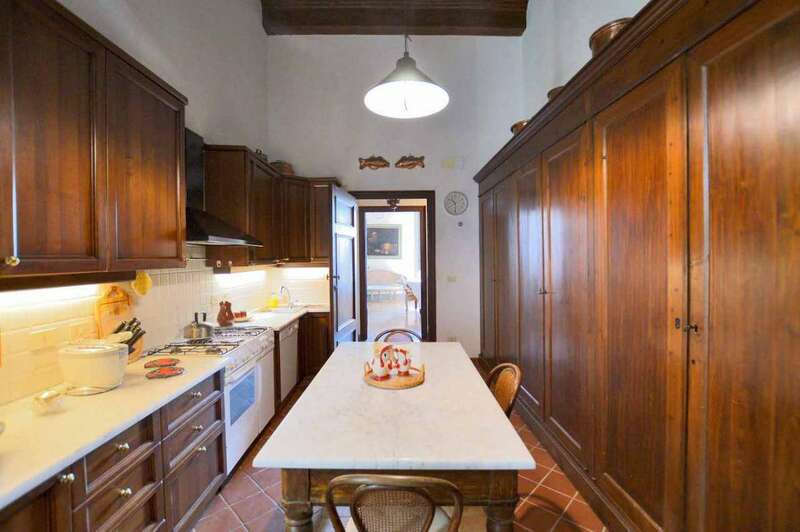 Adjoining the main villa there is character guest accommodation of 300m2 comprising a generous apartment of 120m2 with kitchen, dining room, living room, two bedrooms and bathroom. 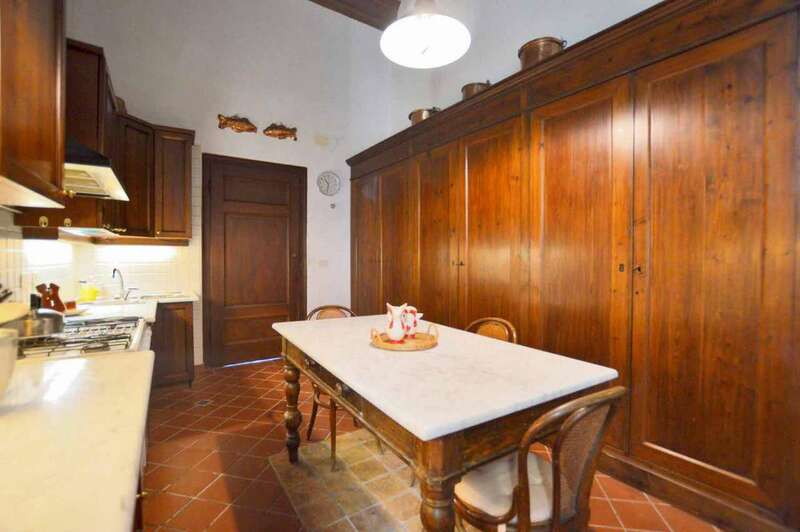 There is also a garage, various wine cellars and storeroom. 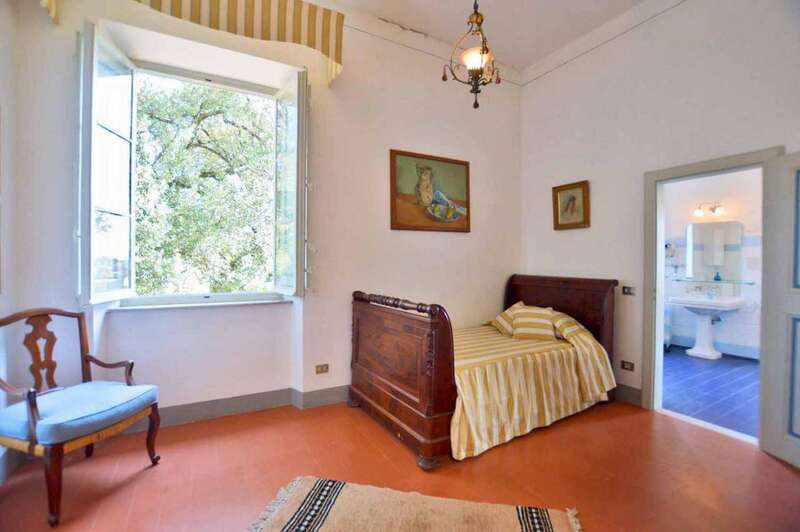 In addition the guest house benefits from an attic space that could be restored and offers scope for further development. 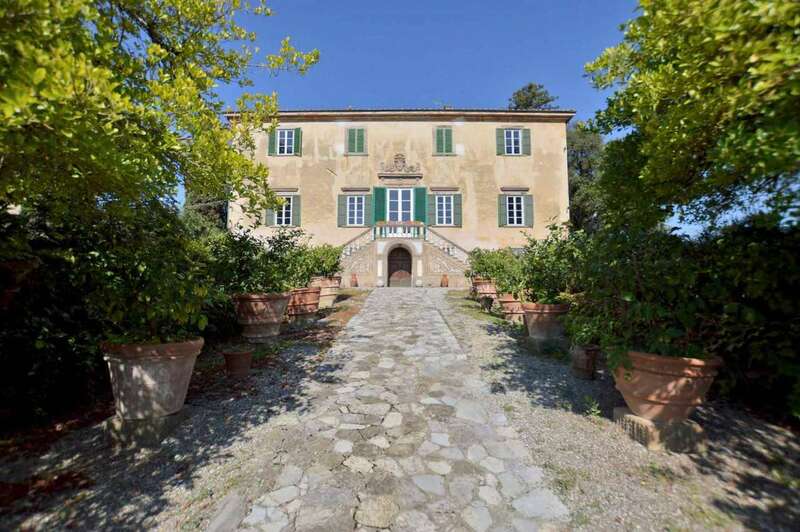 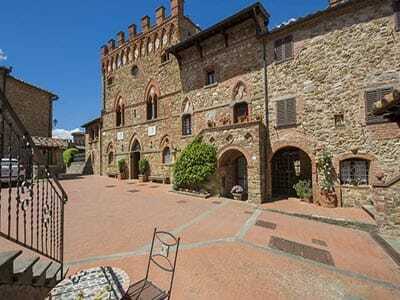 Not far from the villa are 2 large farmhouses, approached by separate private access. 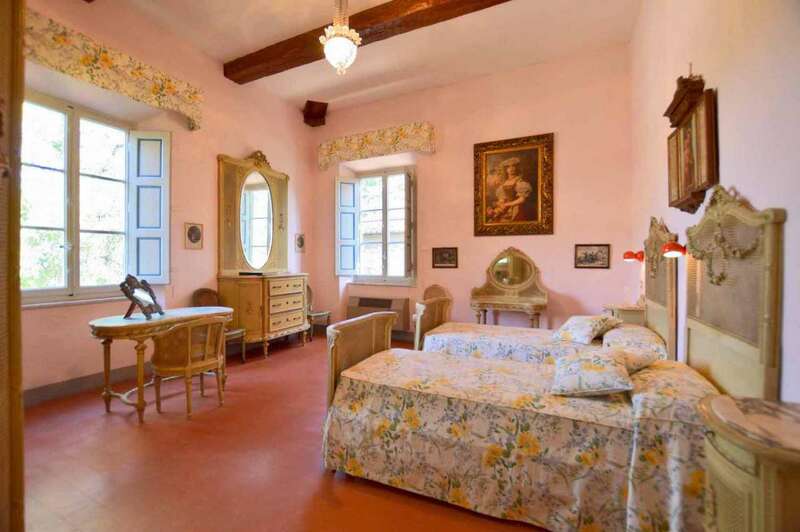 Both houses have been restored and provide comfortable accommodation. 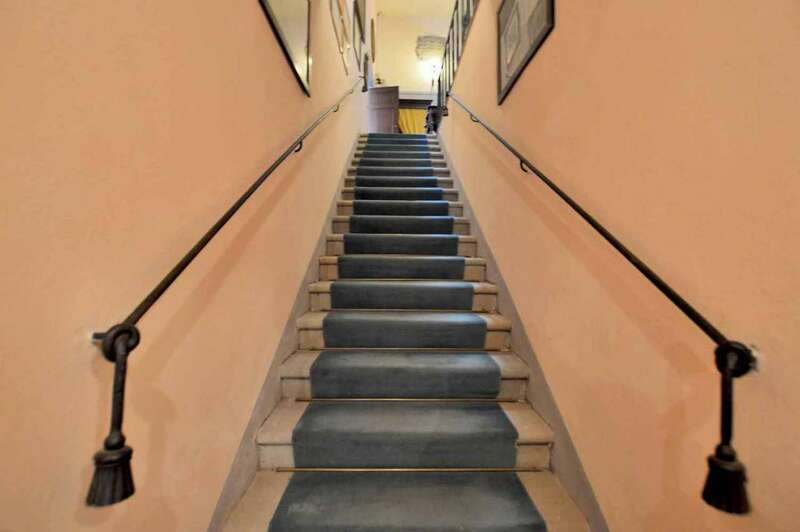 One measures 240m2 and comprises 2 apartments, a flat of 160m2 arranged on two levels consisting of living room, dining room, kitchen on the ground floor and 3 bedrooms and 2 bathrooms on the first floor. 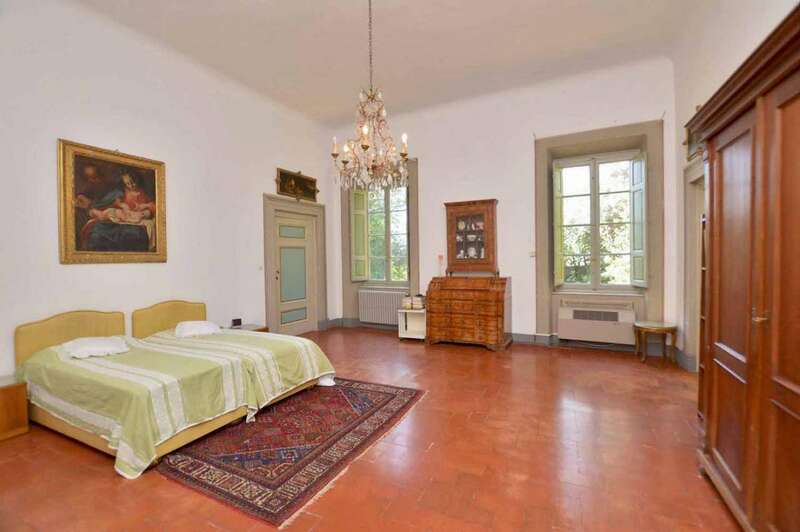 The smaller flat measures 80m2 and features living room, kitchen, bedroom and bathroom. 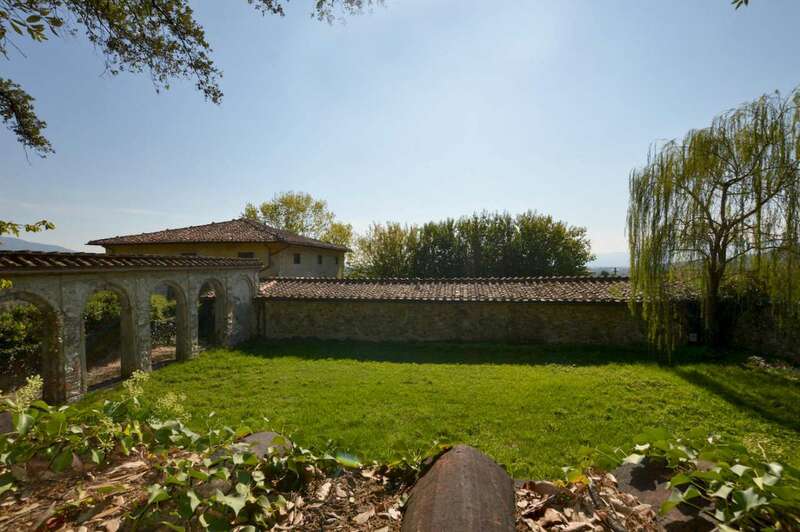 On the lower level of this structure there are various wine cellars and storerooms. 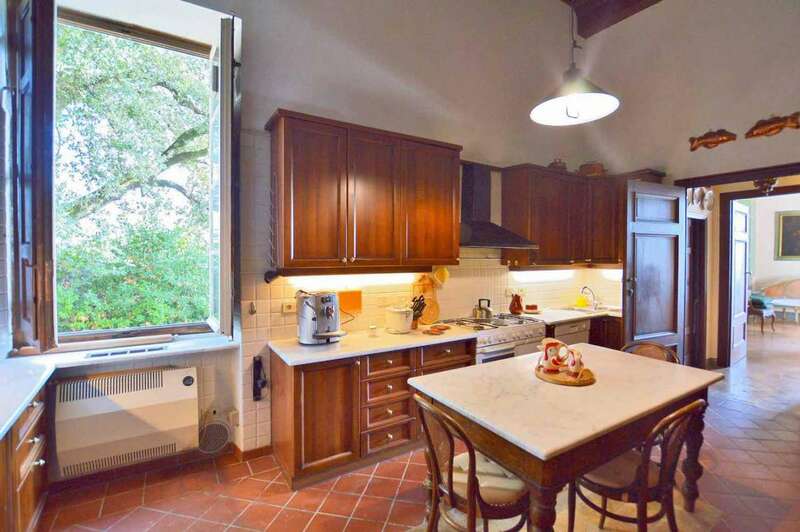 The second farmhouse is semi-detached and provides 200m2 of well-presented living space on two levels comprising living room, dining room, kitchen, 4 bedrooms and 2 bathrooms. 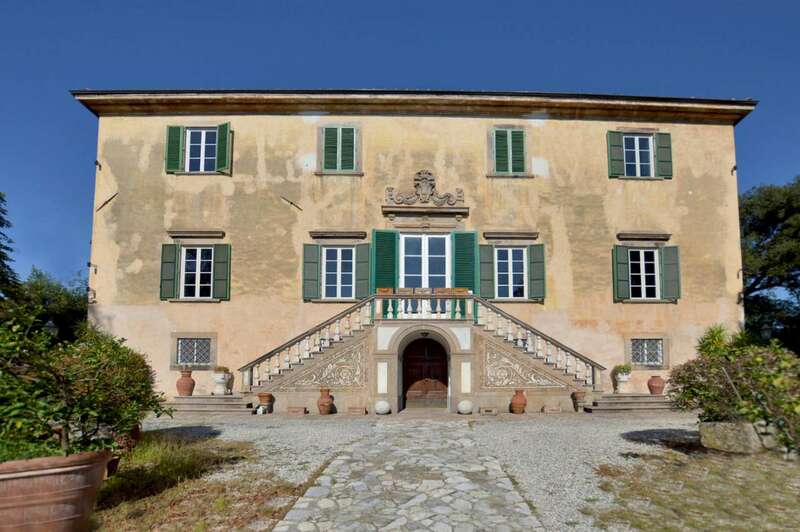 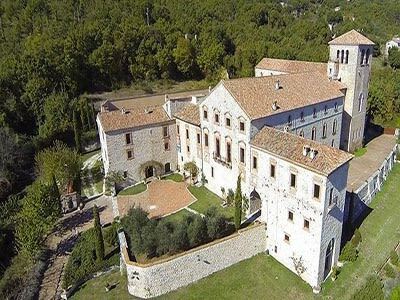 In addition, the estate has two buildings of 150m2 m each, in need of complete renovation that could be restored and converted into dwellings.